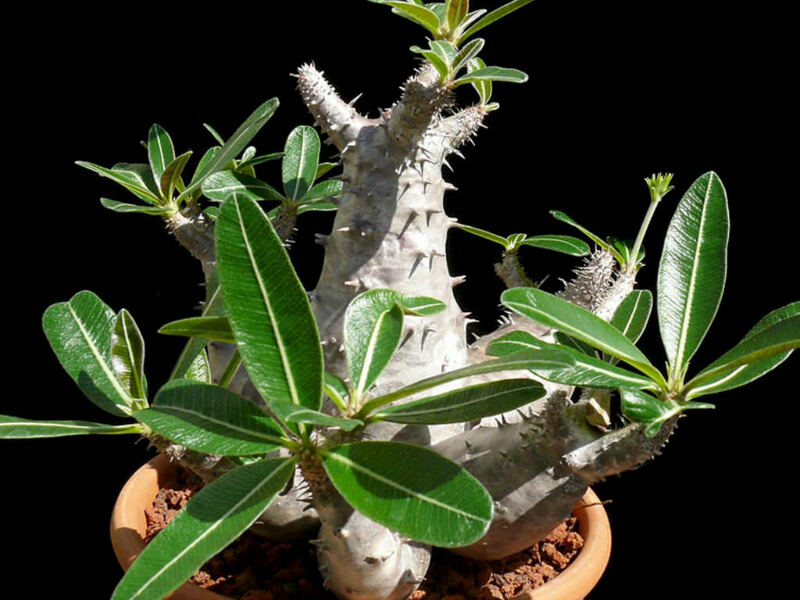 Pachypodium rosulatum is a shrubby, perennial, caudiciform plant with a bottle-shaped trunk, brownish-silver and almost spineless, up to 14 inches (35 cm) tall and up to 6 inches (15 cm) wide. 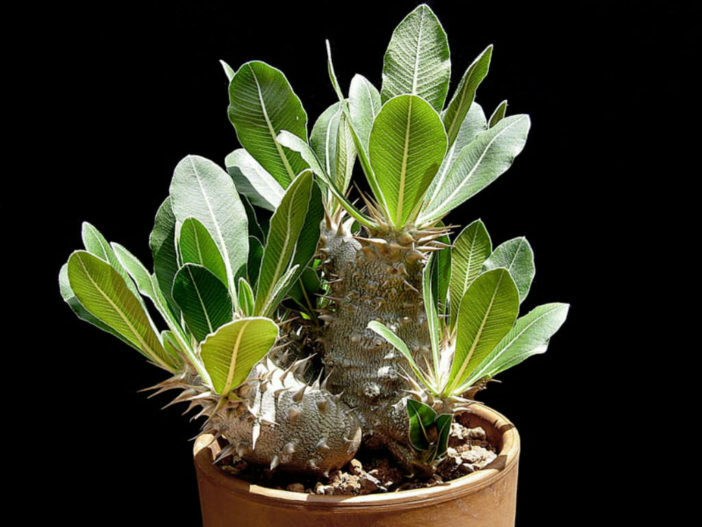 From the caudex depart many thorny, cylindrical arms, forming a shrub up to 5 feet (1.5 m) tall. 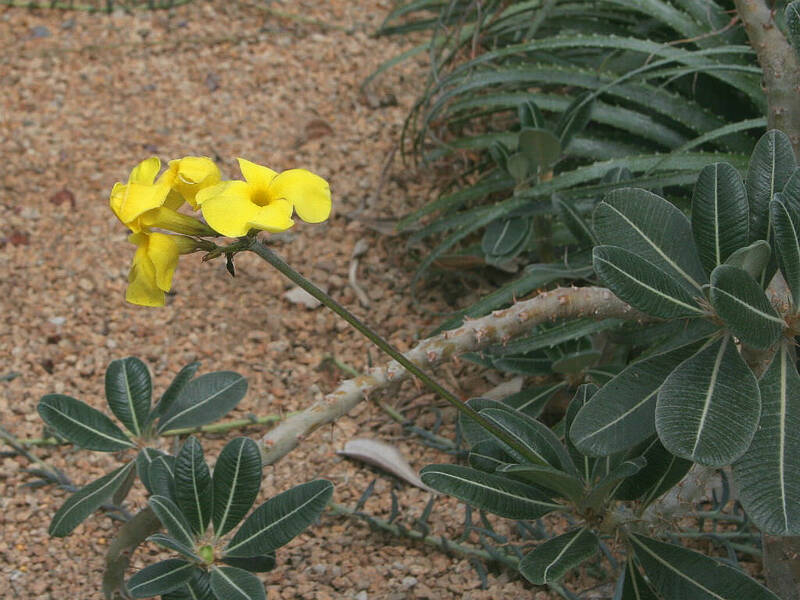 The leaves, which fall in the dry season, form a rosette on the top of branches. 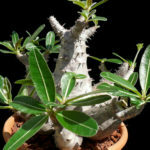 They are deciduous, dark green, oblanceolate, ovate or elliptical and petiolated. 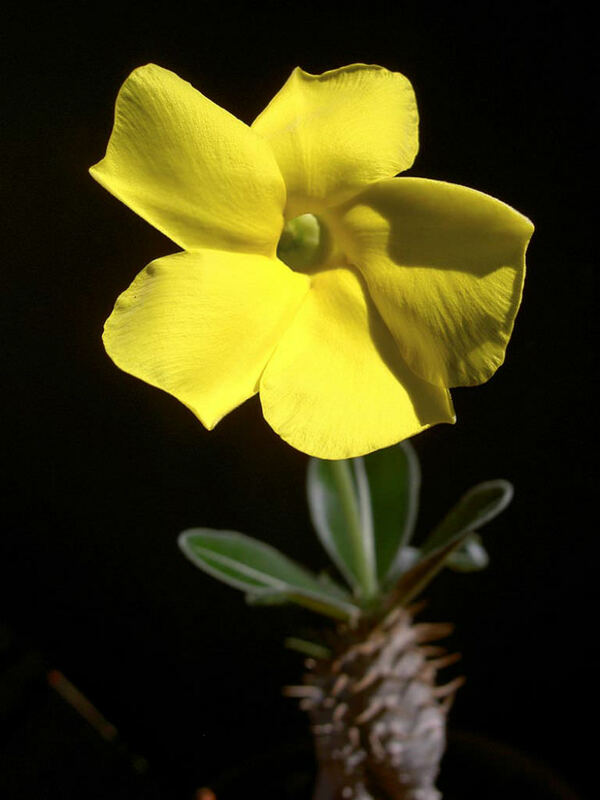 The long-stalked flowers are sulfur-yellow and form an inflorescence up to 12 inches (30 cm) tall. 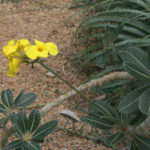 It is native to Madagascar. 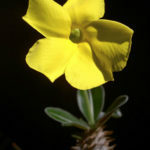 Previous ArticleWhat is a Rosette Succulent?